We have a litter of beautiful golden cross Collie puppies. 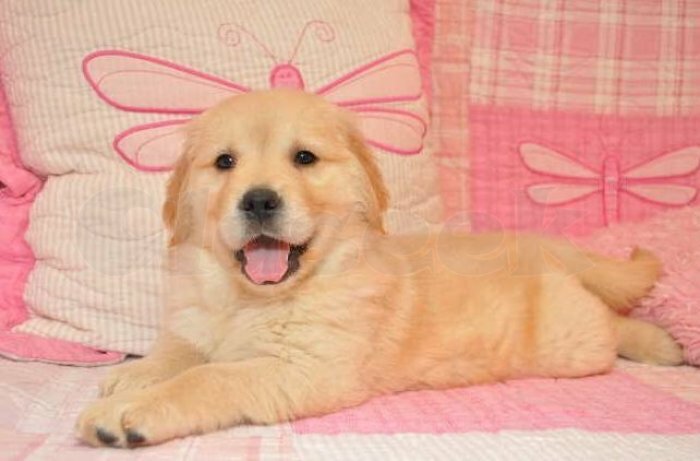 Their mum is 1/2 Collie 1/2 Golden Retriever and their dad is pedigree golden retriever making these puppies 3/4 Golden Retriever. They are being raised in our family home around small children, cats and chickens. They will be wormed, flea treated and have had their first vaccination when ready to leave. We will also provide some puppy food and a blanket with each puppy. They are semi toilet trained and are very loveable, clever puppies. Visits are welcome anytime. Anymore questions feel free to ask.